Painting Portrait three quarter view. Here is the last one of the portrait series I did a few days back. 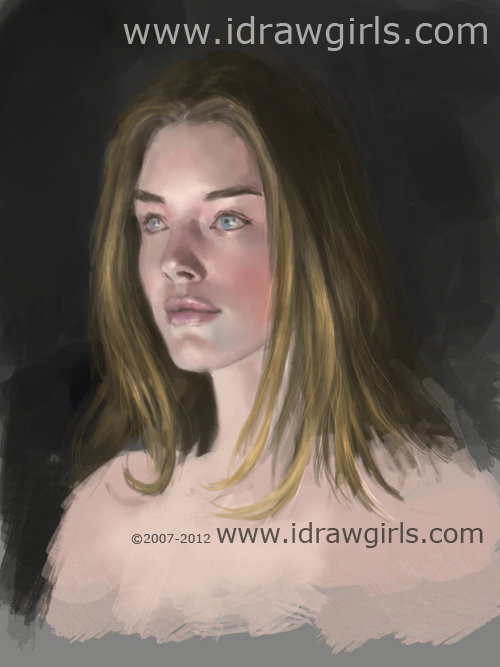 This one is a bit different than the previous two on the lighting and also the skin tone. I painted this portrait toward a little more toward cool side of color temperature (blue and purple). Also the lighting direction is coming from slightly below toward the front, instead of 45 degree above (default lighting) So it is quite a challenge for me to switch up the lighting around. Well, draw a lot of faces if you want to improve on it. If you want to improve hand and draw a lot of hands. 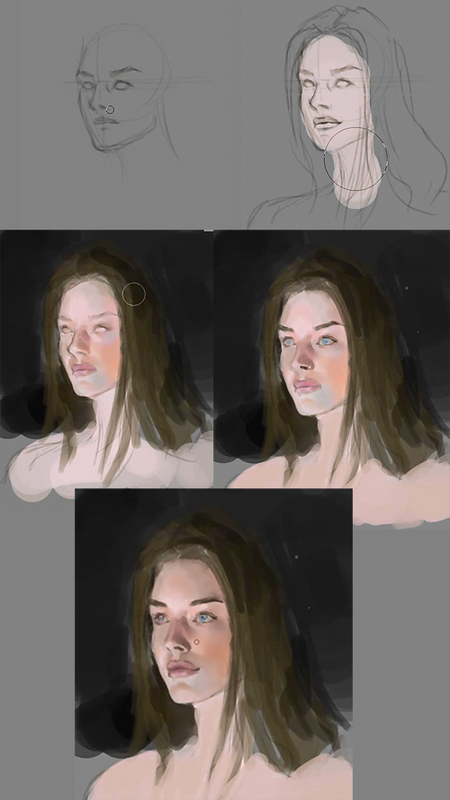 What daily exercises do you suggest to improve drawing faces?